As there are some frequently asked questions around storing sourdough starter between bakes, I thought I’d start a post to provide some answers. Here are my notes on how to store sourdough starter. I put together my first sourdough starter (a rye starter) at the beginning of 2013 and have been using and refreshing it ever since. There have been prolonged periods (four weeks plus) where this particular starter has been left untouched in the fridge. Whenever that happened, I simply stirred the grey-brown liquid that settles on the surface of the sour back into the starter refreshment. 16 hours later, I have a normal rye sourdough starter back in action. Whether you work with rye, wheat or spelt sourdough starter, roughly the same storage rules apply although wheat leaven refreshments tend to reactivate more quickly than rye. Some notes in the outline below have been sourced from Andrew Whitley’s excellent books: Bread Matters and Do Sourdough: Slow Bread For Busy Lives. How to store sourdough starter? Sourdough starter needs to be stored between uses i.e. refreshes. Refreshing sourdough means adding flour and water to your existing starter in order to revitalise it and prepare it to be used for baking. Unless you bake every day (in which case you would just constantly refresh your starter every day and there is no need for storing it away), you need to store your starter at a cool temperature to preserve it. If more than two or three days are likely to pass before the sourdough is used again, it is best to store the starter in the fridge. If your sour was viable when you last used it, it should keep there for many weeks and revive easily. 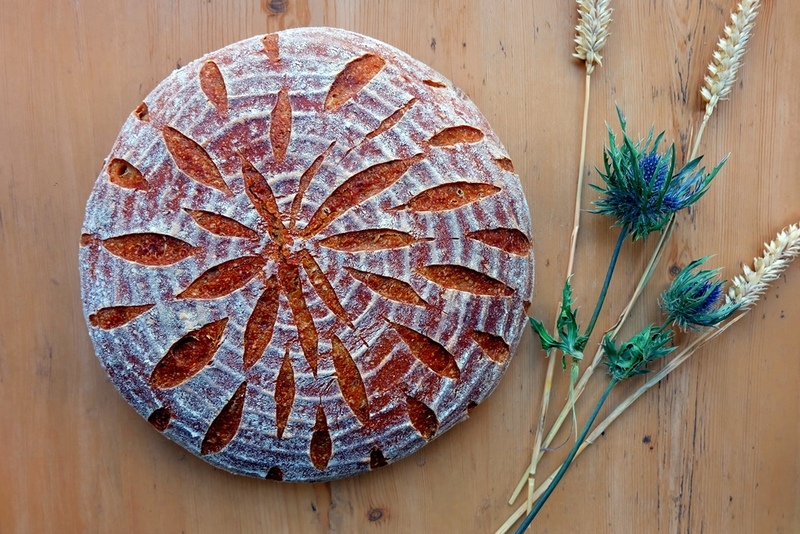 Please – there is no need for gimmicky sourdough hotels. A glass jar with screw top or metal clips is suitable but beware of a build-up of gas pressure if you fasten the lid too tightly. Plastic tubs with clip-on lids work well and this is what I typically use as my sourdough starter storage container. Please note that some space is always needed for the starter to expand when storing it. At the same time, limiting the air space between the surface of your starter and the lid of the container will help to prevent mould growth. So, leave some space but not too much. A good lid will help keep out unwanted moulds and contaminants, so a tight fitting lid works better than a piece of loose cling film for example. Using refrigerated sourdough starter is easy. Simply take starter out of the fridge, combine with flour and water (as per the recipe you are using) and you will have an active starter. Here is my recipe for an easy sourdough bread if you are looking to get started. Can you freeze sourdough? How to store sourdough starter long term? 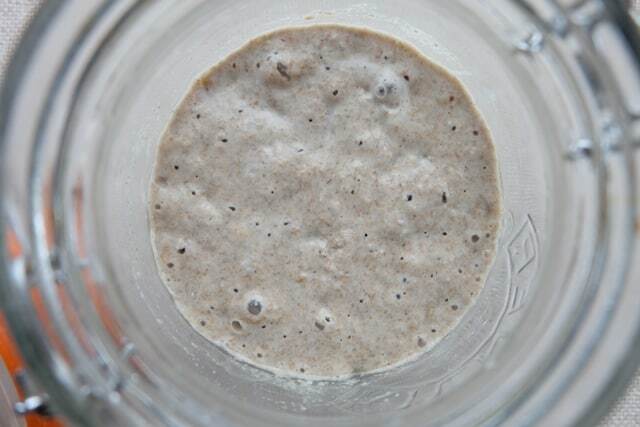 Freezing sourdough starter is a good option for storing sourdough starter long term. Freezing reduces the power of natural yeasts, so it is best to refresh the sour before putting it in the freezer. Give it an immediate refreshment after it comes out, to make sure that it has regained full vigour.